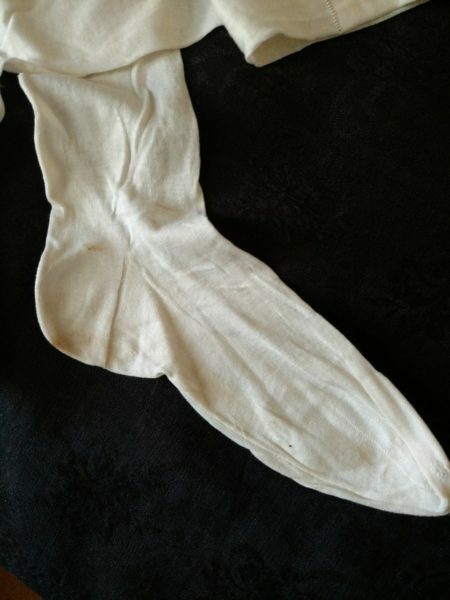 Vintage pair of white stockings hosiery hose. Seam down the back Reinforced toe and heel. For summer wear with clothing of white, the stockings date from the 1920’s or possibly late teens.